T-DOSE 2014 was held two weeks ago. 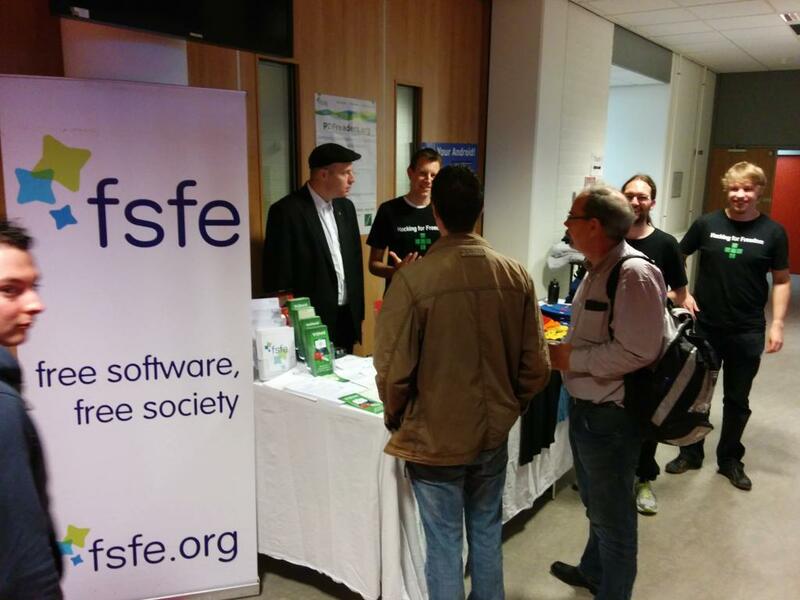 A lot of Dutch fellows were there, and of course we brought the FSFE booth. On Saturday, I gave a talk about the “Internet of Things” and Kevin Keijzer about Discrimination of free software (users) in education; Maurice spoke on Sunday about “Digital Sovereignty For Europe” (youtube). I also volunteered at the Privacy Café (see also this earlier post). This entry was posted in english, planet-en and tagged bnl, fellowship, free software, fsfe, kevin, maurice, privacycafe, t-dose by Felix. Bookmark the permalink.